I have to have this, but dang its expensive!!!! 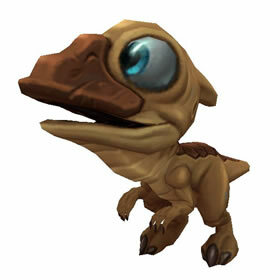 This cutie seems to be based off of parasaurolophus. The platysaur species has been roaming around the lands since before time was even measured. An ancient species that has adapted to walking on the land, and also for some reason has adapted to repeating some short sounds three times in a row.